Sundown is a new hide and seek shooter game developed by ‘Mild Beast Games‘ but published by ‘Versus Evil‘. It is coming out the Xbox One, Nintendo Switch, PS4 and PC (currently available on Discord) but no given date. It just says 2018. This game has a very interesting concept and we hope it pulls it off well. Sundown is all about hide and seek, which means playing smart. Running around firing at everything may not work very well against a patient and accurate player. Basically everyone is covered in darkness. The whole map is dark. Players are only visible when you dash, shoot or slash. So do you make the first move thinking you know where your opponent is or do you play reactive and wait for your enemies to make the first move and then close in on them? There are many tactical approaches in concepts like this. 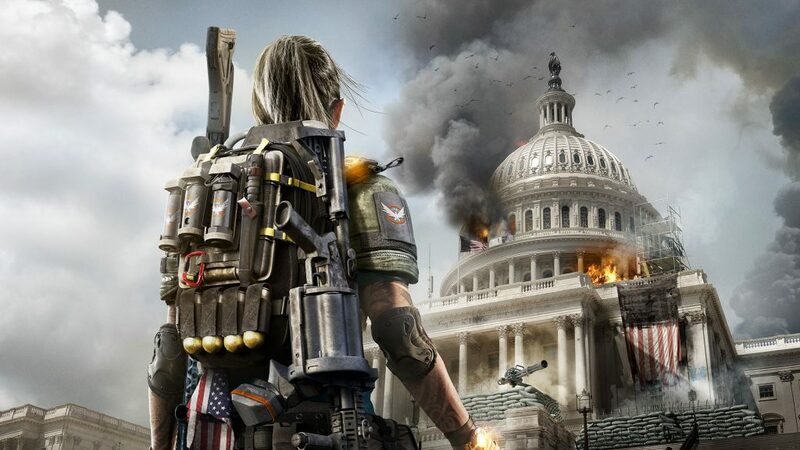 Now naturally this could make Sundown not only a tactical and strategic game but also an intense game where players might get on the edge of their seat. Think about it. You are against another skilled player who you know is moving around. If you attack and miss, they know where you are and will finish you off. We can imagine this in serious pro level matches where it sort of player like chess in a way. Sundown is also for casual gamers who just want to have fun, and they can. This is because Sundown is also multiplayer. Both online and offline up to four players. Finally another developer with sense. Not everyone has a clan online or wants to be part of a clan or wants to play with others. The most fun X35 Earthwalker has had in gaming was playing with friends or family at home in the same room with trash talking and laughs. So gamers have some options in Sundown. There is also a single player challenge mode which we hope does give a challenge with varying difficulty. Players can also take on offline bots to sharpen their skills or just to have a good time. Either way, the real challenge will be taking on other players online. There are currently six levels: Factory, Reactor, Mansion, Subway, Disco and Garden. Each level has a different level design layout concerning cover, obstacles etc. Each level does look like what their name says it is. Very important are the weapons. Sundown has a variety of weapons but not a wide variety to keep things more simple and tactical. The Lobshot fires grenades that bounce around but the alt fire let’s you fire shots over walls. The Sniper is a powerful sniper rifle that can fire through walls and the alt fire drops a mine that’s remote detonated. Revolvers fire shots that bounce of walls and the alt fire shoots a flare that reveal other players. The Umbrella allows you to dash around very quickly and it’s alt fire allows you to block bullets. The Shotgun is powerful and has spread but alt fire empties the entire clip but gives that shot even more spread. There are more weapons and some are pretty cool. Good job Sundown. We checked out some gameplay and what we mainly see is the fun casual side of the game. We see fast paced action and lots of people dying. This proves the two sides of Sundown, Casual and serious, fast paced and slow depending on who your opponents are. Melee weapons see to have a more clear advantage. We hope Sundown is carefully balanced. The graphics are alright for it’s style and the sounds are alright too. 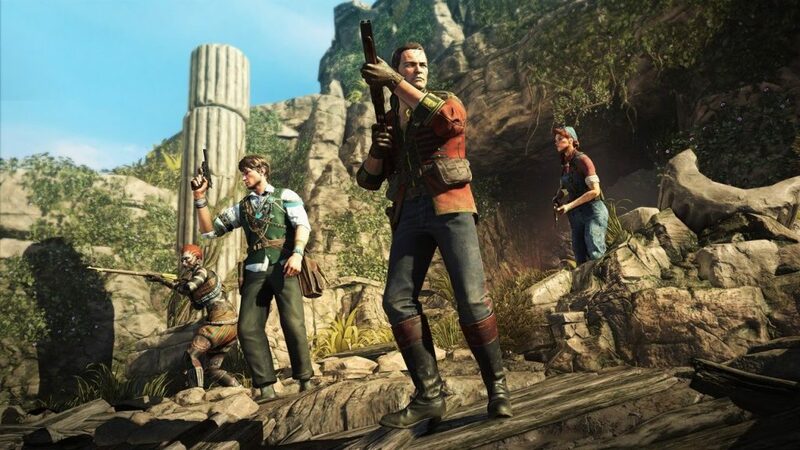 Strange Brigade is a new cooperative third person shooter developed by ‘Rebellion‘. It is coming out the 28th of August on the Xbox One, PS4 and PC. There is quite a historical adventure going on here. Ruins, puzzles and treasure? Sounds familiar. Let’s take a look. Strange Brigade, is set in Egypt 1930. Seteki was a major problem, and like the mummy that Brendan Fraser faced off against, it’s real bad if they come back from the dead. Well Seteki the witch queen is back. She was erased from ancient history and buried in a nameless tomb for 4,000 years. She has dangerous powers and a army of dangerous mummy monsters. Strange Brigade is the name of the team that are going to face Seteki and want to stop her. Each of the four members of Strange Brigade are have been trained to face supernatural threats. Players take control of the Strange brigade who can use magical powers and have access to powerful prototype weapons. The official website describes these weapons like “brain-busting Blunderbuss”, “fire-spitting Krakatoa” and “ice cold Chill Burster”. Sounds strange but to deal with mummies it has to be something special. 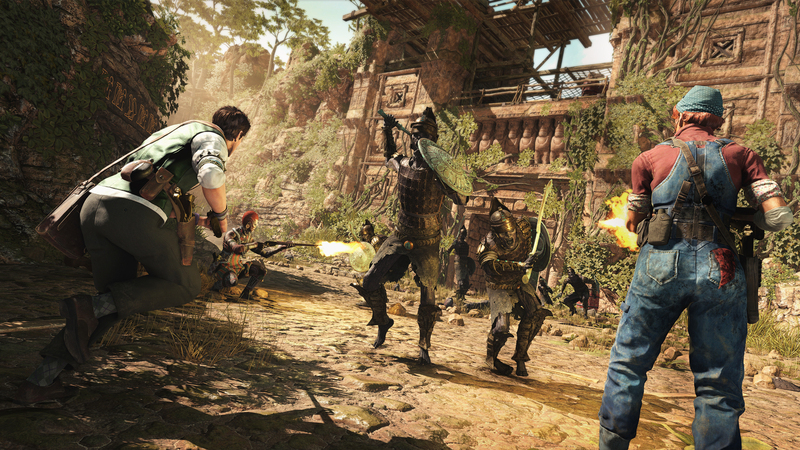 So players should expect ruins, off course treasure and puzzles in Strange Brigade. Players must be on the look out for clues and objects that will help on your adventure. You don’t want to have to travel back to get something you missed. There are even secret entrances for you to find which will save you the trouble of running from rolling boulders and swinging across gaps with your whip. 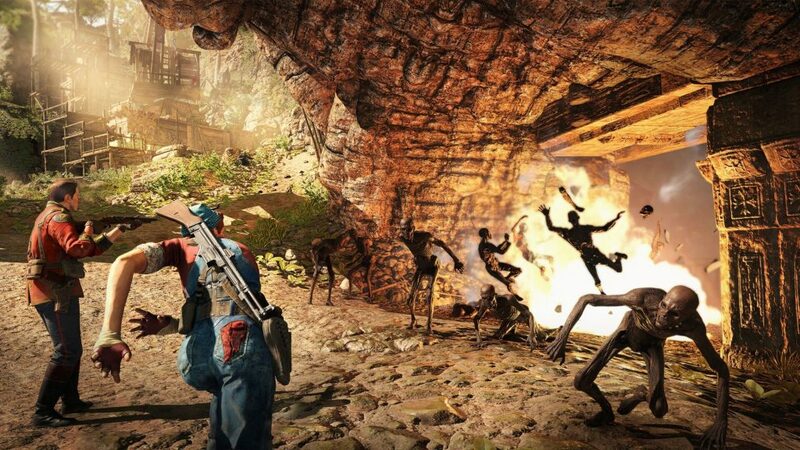 There are many locations for the Strange brigade to hunt the witch queen through, such as unstable caves, dig sites, and even exotic places like some cool pyramids. It’s clear this game is going for a very archeological feel and look. Like you are searching these ancient places for exciting discoveries and facts. Seteki like any supernatural mummy didn’t come back alone. She brought an army with her. This army consists of dangerous monsters like: assassins that can breathe fire, giant scorpions, mummies who won’t shut up and even minotaurs who wear armour. There is definitely much more threats out here in Strange Brigade. oh and yes, those monsters are loyal. What archeological, ancient rune, temple, mummies, super natural threat world would be complete without a bunch of deadly traps everywhere. You know, the good ol fashion crushing ceiling trap, or poison dart traps or delay pits in the ground. So players of Strange Brigade should expect boulders, spinning blades and even fire traps. We checked out some gameplay and it’s not exactly what we thought it would be. The movements are good. Things seem to work very well. The combat like the enemies attacks are fluent. There are relics to unlock to get more amulet powers. Look out for secret doors that we recommend you solve as there are some worth while stuff through there. Like with Tera, use power stones to upgrade and improve your weapons. The more powerful the weapon you get the more sots available. The fact that it’s four player co-op is the best. So grab your family or friends and face mummies together. 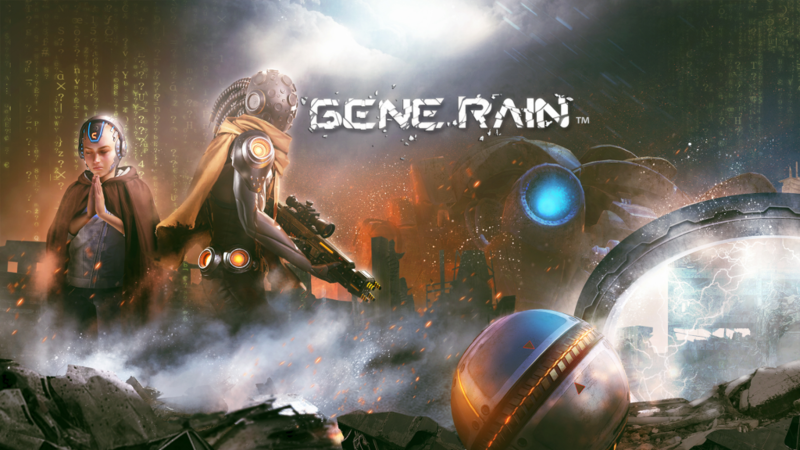 Gene Rain is a new futuristic third person sci-fi shooter developed by ‘Deeli Network‘. Gene Rain is coming out on the Xbox One the 24th of July and some time later on the PC but it’s already out on the Play Station 4. Let’s take a look. 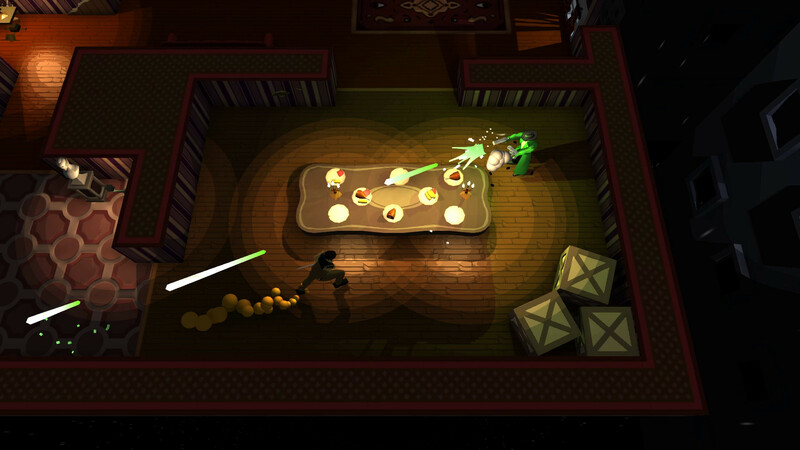 In Gene Rain, players take control of the death squad who’s job is to stop the gene rain. The gene rain is basically a spray agent that can mutate genes, which got released into the air. Yep you can guess that this is bad. The agent mixes into the rain. So mutating rain everywhere which causes some issues. The Death squad is made up of three members: Alex, Salman and LiYing. Alex is the leader and is human but also part robot. Salman is known as the shield of the Death squad and is a mechanical human. LiYing is all human and called the soldier of the Death sqaud. Quite an interesting mixture of characters in Gene Rain. from all robot to half and full human. Even though they are different it has been made clear that they all have the same goal. Gene Rain has quite a lot of lore, history and back story. Even on their steam page is quite a lot of information from 2049 to 2089. So it’s worth checking out for that extra information. There are three different forces who are clashing with each other. Unlike the Death squad these forces have their own agendas and goals. Let’s hope the death squad are ready for this. There are 9 weapons confirmed in Gene Rain and the three main weapons can be upgraded. There are also a good amount of character attributes which can all be upgraded also. 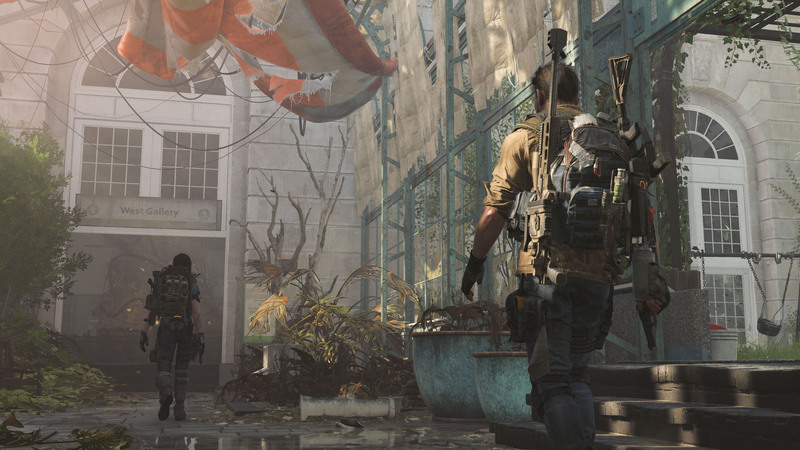 In terms of level design and environments there are four types of areas you can encounter. They are: A quiet town, a dark city, a destroyed city and a deep canyon. So basically three city like areas and one cave like place. Not much variety here but they are doing what they can with what they have. We respect that here at X35 Earthwalker. In terms of the enemies as that’s very important, there is 12 in Gene Rain. Each one is different having it’s own behaviour and attributes. Some examples are the jumping spider which are fast moving can jump very far and like elevated areas to fire down at targets. The thunder has a strong defence and high amounts of fire power. The hunt fly is all about speeding towards you, latches on and then aims to explode. Inspectors are tough, can give commands, very tactical and have long range sight. There are more, some of which can be a real problem. We checked out some Gene Rain gameplay and so far it’s good for what it is. It’s not a game you can compare to Gears of war or Halo and their super high quality. What the developers have made works well. The companion A.I seem too slow to react especially if an enemy gets past them to come for you. The enemies however do look very cool. This game looks like it will be a huge problem on high difficulties. Some weapons look very weak but there are some strong powerful ones. Good amount of guidance for campaign allowing players to know where to go. Paladins is a team based shooter game developed by ‘Hi-Rez Studios‘. Paladins, Champions of the realm is one of those games that X35 Earthwalker himself got into, sort of recently. So far we have had a fun time but there’s quite a lot going on. Take a look. In Paladins, two teams of five champions go head to head to either out slay the other or generate and push a payload to their enemies side of the map. Sounds simple but there are many factors to this. There are a bucket load of characters to pick from and each one has a role and their own abilities. The roles are: Damage, flank, Support and Front line. Damage is well… all about dealing damage. Flank are all about getting around and hitting the enemy from the side of behind. Support do anything from buff and heal allies and nerf enemies. Front line are suppose to be tacky (take a lot of damage) and stay in the front grabbing attention. So the main strategy in Paladins is that the front line goes for the payload and stands in the area for the objective. The support strengthens and heals the frontline to keep them alive. The flank splits the enemy teams’s attention by attacking them from their side while the damage dealer tries to finish destroy everything. Off course, the enemy team won’t let you do that. So you have to keep an eye on their flank, shut down their support and avoid taking damage dealers head on. There isn’t that much variety to the maps to play on but they have been carefully designed and each one off course presents different opportunities. Some maps are more suited for some champions more than others. Make sure to lay all and know what’s best for what champion. Experience is key in Paladins. 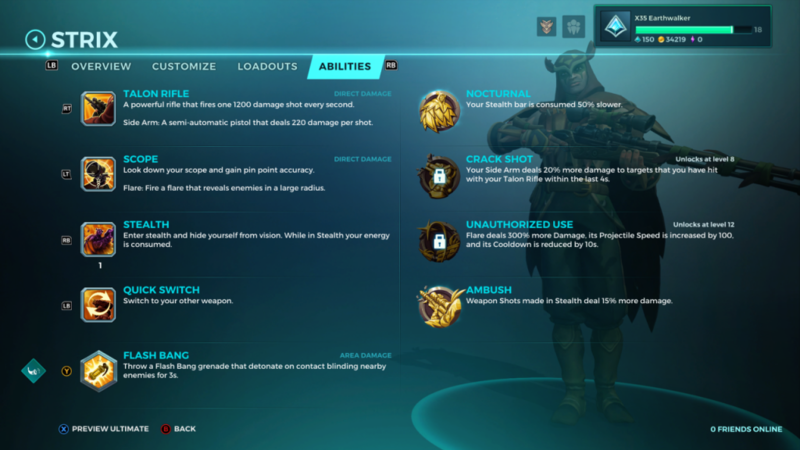 Each champion in Paladins has their own abilities. 4 fixed ones, one ultra and one you which is more like a perk that you must keep for the whole match. No characters in Paladins are really similar, despite what haters say. 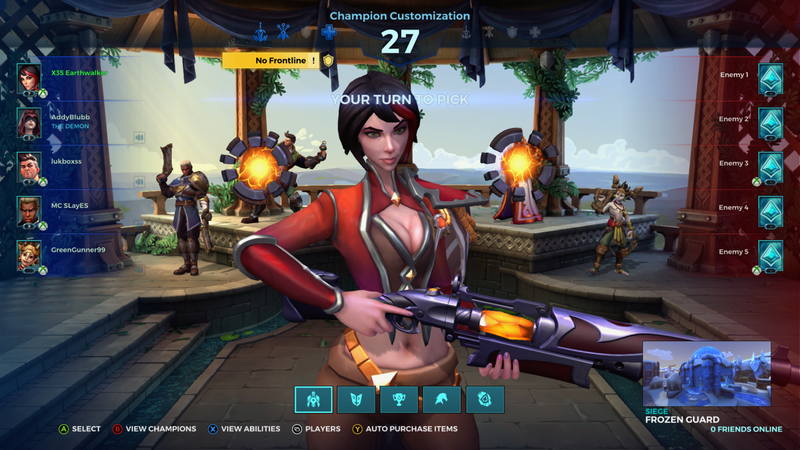 There are three Champions who use rifle like guns: Viktor, Tyra and Vivian but each of their guns have a different rate of fire, clip size and damage per bullet. There abilities and uses truly separate them. Viktor can throw grenades for additional area of effect damage and run very fast to chase down enemies or retreat quickly. Tyra has a grenade launcher which is area of effect damage and fire bombs which sets the area of fire for area denial. Vivian has a frontal shield that takes the damage for her and sensor drones which reveals the locations of enemies in a big radius. Now just from what you heard about these Paladins characters, you can see where they shine most or come up with different play styles; however there is more. For example if you select the cardio perk ability Viktor heals for 250 health every second while using hustle. 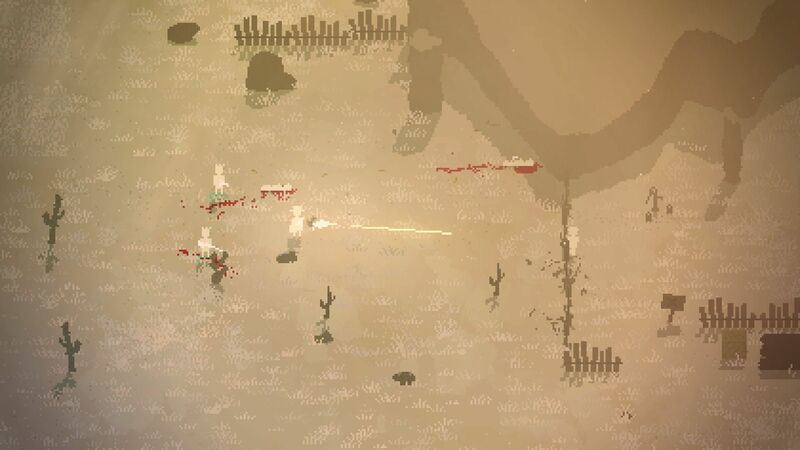 So players can chase down enemies knowing that they will have more health than them; or run away while healing making it harder for you to die. If you then use the right card in your load outs you can grant damage resistance during the hustle to make you much harder to kill while chasing or retreating. With Tyra you can use many cards in her load outs to make the fire bomb ability cool down much faster and then combine that with the ‘Burn monster’ ability and she can pretty much shut down a payload objective as no one will want to stand there at all. So come up with some combos. So you can imagine the many different play styles and strategies that players can come up with the many different champions. Who knows you may even be able to stand up to X35 Earthwalker who has been called the greatest Jenos player in the world. What’s really good about Paladins is that players can see the statistics for the damage of their attacks, how much percentage does damage reduction grant and life steal etc. This makes Paladins quite mathematical. You can actually calculate who would win in a straight up fight through maths alone or know how much of what is needed to survive an attack or take someone down. So those who paid attention in school will have a definite advantage here. For example Buck’s shotgun does 700 damage per shot and rate of fire is one shot per second. So if you got level 3 damage reduction Buck’s shotgun will instead do 490 damage to you. Meaning if you are let’s say Tyra, it will now take you 5 seconds to die to buck instead of 4. That extra second sounds small but in Paladins makes a difference. Off course a game as statistically and large like this will always have problems with character balancing. Some characters seem to outshine others while some are too powerful maybe. For example many have a problem with Maeve. Her daggers deal 400 damage each. You throw both at the same time which means 800 in total. This means she can kill Vivian within 3 seconds. Others take 4 seconds. Not only that, she has an ability called Artful dodger, where activating nine lives heals her for 400 but then combine her pounce, which nine lives can reset the cool down of by the way, she can deal and extra 800 quickly meaning she can kill someone like Skye in slightly under 3 seconds. Now that’s fast, too fast. Buck is another character that some have something against. He deals 700 damage as we already discussed but can also heal himself 1000 over 1.5 seconds but if you use the a bulk up ability you heal for an extra 600 and your maximum health increases by 300 for 3 seconds. There are also multiple loud out cards that grant damage reduction to using Recovery and Heroic leap meaning Buck becomes one of the most difficult things to kill while dishing out so much pain. Worst of all both Maeve and Buck are FLANKS! They aren’t damage types. Which brings us to the next issue. Flanks shouldn’t be able to out damage, damage dealers. Damage champions should be the ones that you don’t one to 1v1 against as you should almost always lose. We have seen Maeve and Buck out damage and kill damage characters in 1v1 and not by catching them off guard which shouldn’t be the case. Flanks should either have low health and second highest damage or medium health but really high mobility to run away and come back later to harass the enemy. Oh well, we aren’t the developers. Lastly for now, we don’t like how long it takes to level up your character naturally. We know you can spend earned gold to level up faster but that’s not how we roll here at X35 Earthwalker. 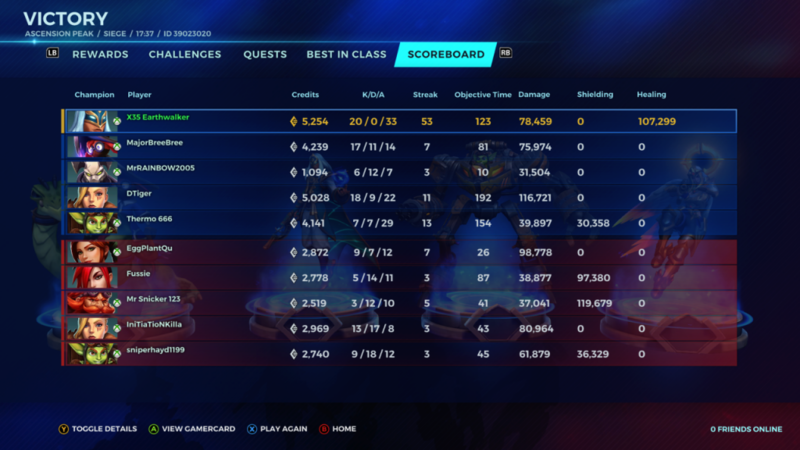 After playing Paladins for a good while we can say this it’s an excellent game. Always a lot of fun and different things to try. Some characters are clearly harder to use than others. Terminus can be very difficult and match up is everything for him. If you are Terminus and your opponents are Viktor, Lian, Buck, Tyra, those with guns then you are going to have a good time as they get countered by Terminus so hard. We have learnt and discovered so many cool things that there is multiple reasons to keep playing this game this. The good certainly outweigh the bad here. We’ve never had any interest in Overwatch and Paladins but now it’s clear we prefer Paladins. That doesn’t mean that Overwatch isn’t a good game. 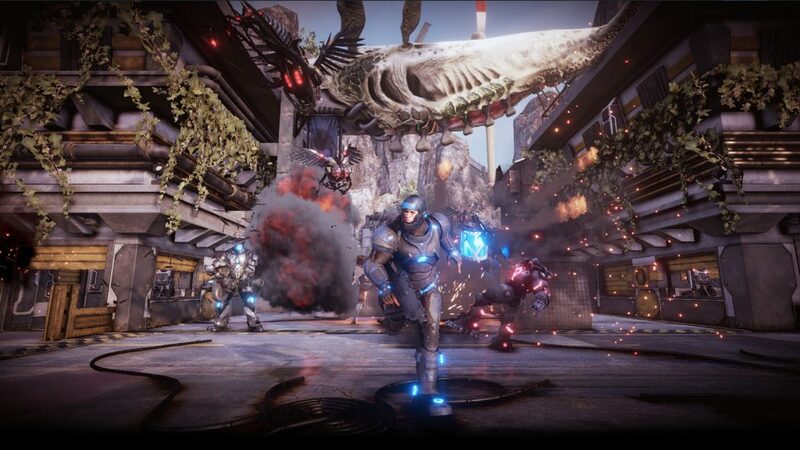 Defiance 2050 is a new massive multiplayer cooperative shooter game developed by ‘Trion Worlds‘. It’s coming out the 10th of July on the Xbox One, PS4 and PC. 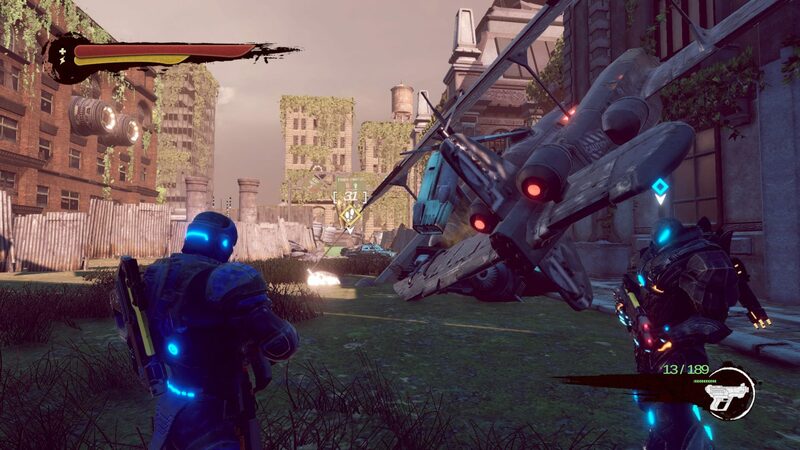 Defiance 2050 is out to make it’s mark in the world of gaming. Let’s take a look. 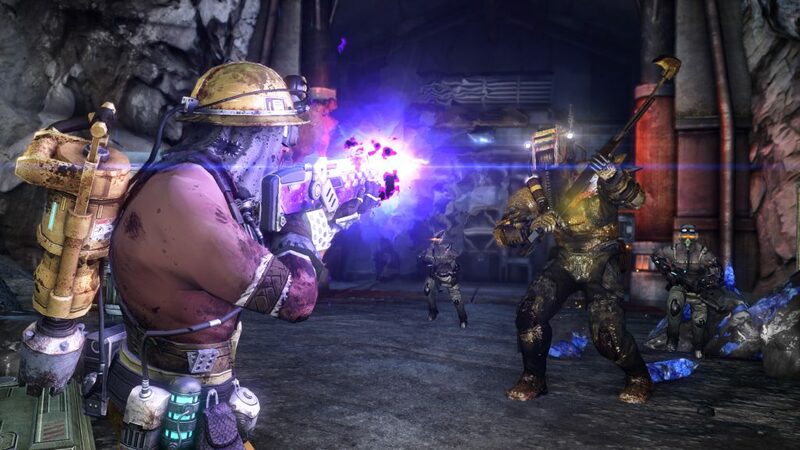 In Defiance 2050 players take on the role of a ark hunter who is in a race for alien technology. This is all because some beings called the Votan, showed up and terraformed the earth. Earth is far from safe and your life could end incredibly fast. An ark hunter is a pro in salvaging, tracking, survival and combat. They go where others will never go and retrieve alien technology. When any alien technology falls from orbit onto earth, the ark hunter must race there, fight of other aliens and ark hunters to get the goods for themselves. 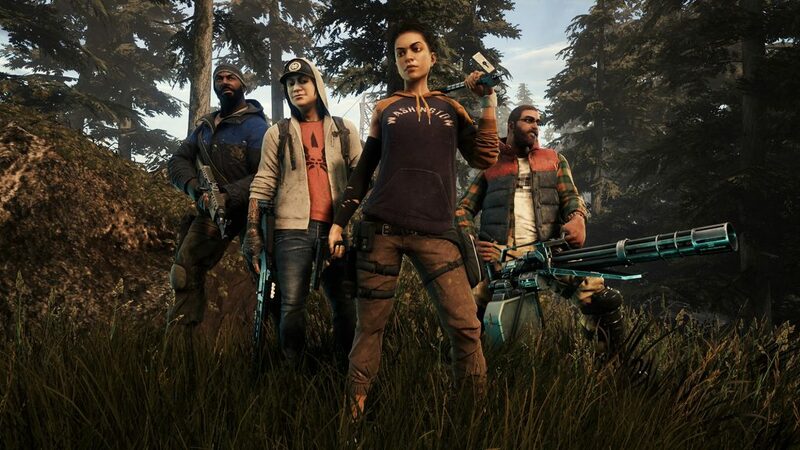 So players can either hunt alone or in a team. The world in Defiance 2050 is pretty much alive. What did you expect it’s a large open world game. There are many main characters who each have their own profile and business to go about. Players must decide if they will be friends or foe. From doctors like Even Niden to law keepers like Jon Cooper. There is a story mode in Defiance 2050… well sort of… basically their are main missions which are directed by the famous scientist, Karl Von Bach who is the owner and CEO of Von Bach industries. He’s also the chief engineer in the weapons devision. These main missions will take players on a earth republic funded expedition to locate and collect a certain alien relic. Off course there are unknown forces at work here who aren’t going to make our search easy. 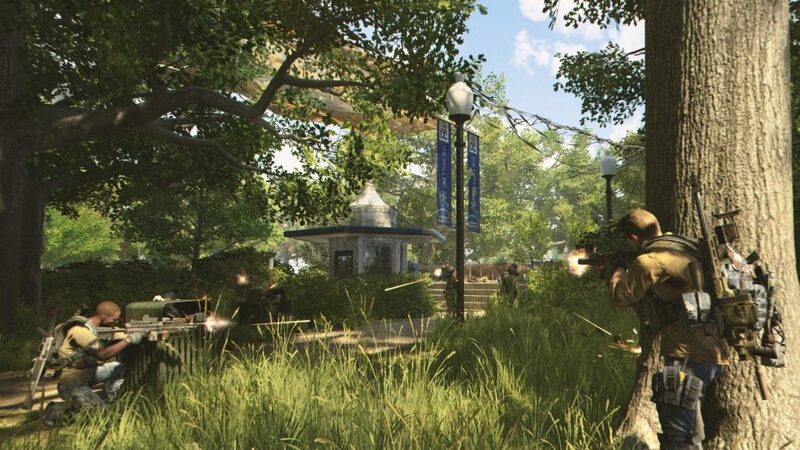 There are also side missions in Defiance 2050 which can consist of combat based missions like eliminating and holding of enemies to getting in and salvaging technology items etc. There are contracts which players can accept from some business owners who are chilling in the bay. Completing these contracts will increase your reputation with the owner resulting in reward which includes sweet stuff (not honey) like equipment and even weapons. There are also challenges too. These challenges are just there to test the players skills. Challenges are everywhere and players can earn medals and even aim to get their name on a global leader board. 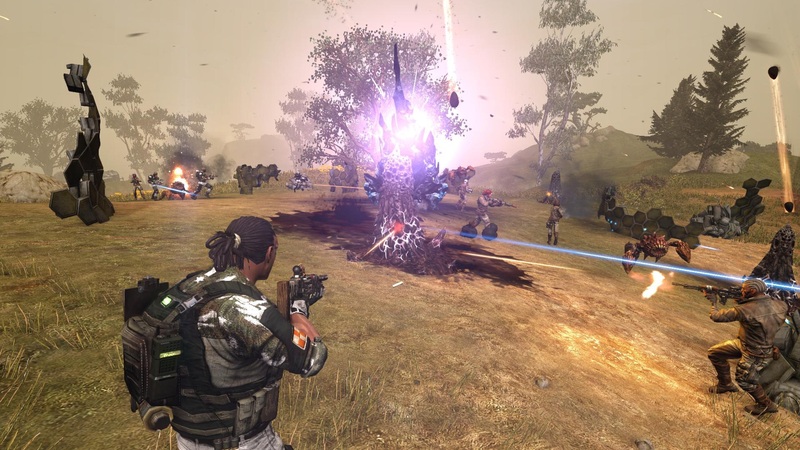 A large open world massive multiplayer shooter game like Defiance 2050 has to have a ton of weapons. It does. Thanks to the alien technology and Voltans, crazier weapons have become available. So ark hunters must get their hands on weapons like the Spread rocket launchers, which rains death over a large area, Sub machine guns which are for close range combat, Sawed off shotguns because unlike the salty fans of Gears of war, Defiance 2050 understands that it’s a good weapon, Charged sniper rifles which deliver heavy damage from far away, Light machine guns for that all round favourite gun style more weapons. You thought the amount of weapons was a lot, wait to you hear about the enemies. There are a ton of enemies around and all of them require an attitude of shoot first, ask questions later. There are scrappers who were formed from scrap and salvaged technology who have shown signs of increased intelligence but still hostile. Hell bugs who are dangerous creatures that come from deep below the earths surface and who are coming for both Votans and humans alike. The volge are a world conquering species who have no allies, no mercy and do what they got to do. There strikes are as fast as they are dangerous. The afflicted who are victims of a plague and now from as mindless aberrations, dangerous ones with different forms and weaponry. Not your typical zombie. The Skrill who are basically large than normal glow bugs who have been experimented on to become a powerful, hungry dangerous specifies with natural explosives. There are even more enemy factions that players must watch out for. We checked out some gameplay and it’s looking good so far. As a massive multiplayer shooter you’d expect many players running around, gunning enemies, collecting stuff and trying to survive. We are initially disappointed with how easy the game is. It’s almost like you don’t need to take cover. You are another person can just stand there and take out the enemy easily. Not sure why the players jump like they are master Chief from Halo, hovering in the air for a while. The environments are not as exciting as we thought. It comes off as sort of empty but we bet that’s not always how it is. The enemies better stand out clearly from each other and have different behaviour. Otherwise, everything looks good. There is a lot of potential in this game. 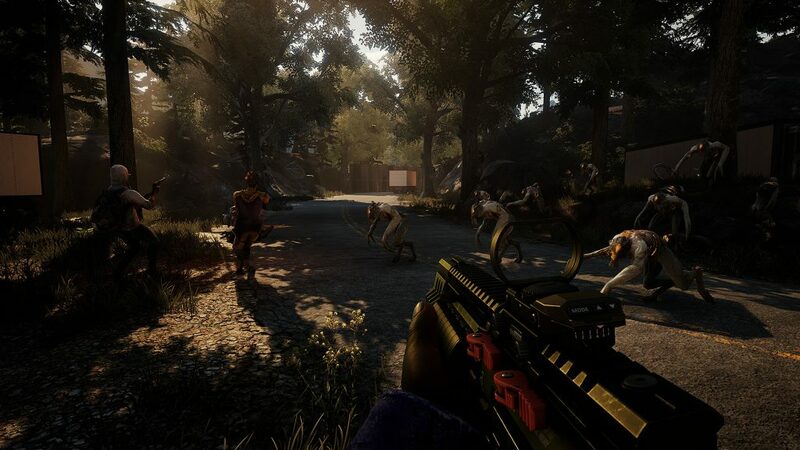 Earthfall is a new co-oprative shooter game developed by ‘Holospark‘. It is coming out July the 13th on the Xbox One, PS4 and PC. This game has been described by many to be like ‘Left 4 Dead’. There has been quite a number of people waiting for this game. Let’s take a look. earth fall takes place at the so called end of the world. Basically a global meteor strike took place and that off course devastates the earth… but it gets worse. Aliens emerge from the meteors. They swarm and ravage the place. No mercy. So humanity does what they can. Get together. Grab some weapons. Put up defences and fight back. 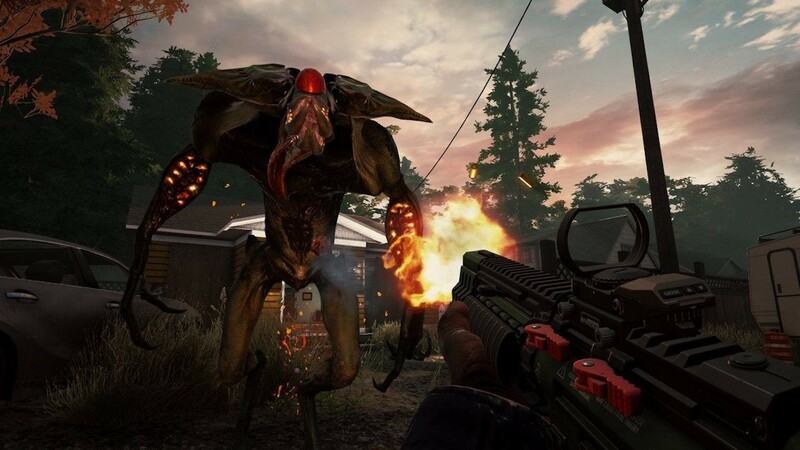 This is exactly what players must do in Earthfall. Now off course piling up bins and boxes will not stop aliens. neither will a golf club work well against a swarm of them. You’ll need the good stuff. There are 3D printers that can be used to create barricades, defences like turrets and even weapons. imagine having those printers at school. Earthfall just keep everything simple. Just grab your friends or meet some new ones. Complete objectives, defend and holdout in strongholds and makeshift fortresses. Simple and fun. Now this is a four player co-op shooter game so team work is quite important. Off course you can still play with game solo and have bots fill in your team. We do not know how useful they are though. There are four characters to choose from: Roy, Danny, Maya and Jonas and each one has their own personality but all want to save earth. There is said to be a variety of aliens which tests your skills and level of adaptability to the situation. 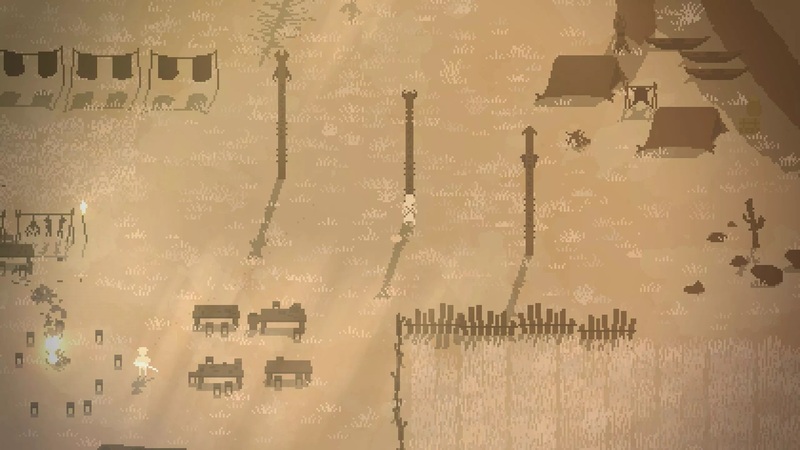 There is a Whiplash alien that can grab a player, rendering them useless and run away with them which is incredibly annoying. There is another called a sapper which pounces and like with the pouncing in Evolve, take continuous damage until someone helps you. Also a spitter which, you guessed it, spits at you for projectile damage. Off course there are much more like large melee aliens that just can’t wait to get their hands on you. We checked out some gameplay and it’s what we thought it would be. 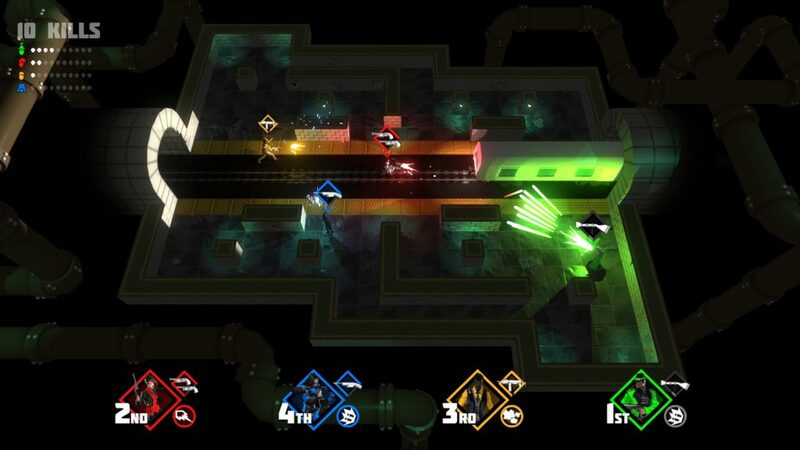 Four players, with co-op action, running around together, finding weapons and items. Taking on groups of aliens, covering each others backs, running away from a boss enemy, running out of medkits etc. These kind of games are lots of fun and it’s good to finally see some developers bring them back. Everything looks great and fair so far. The aliens could use more variety in their design as they all look sort of similar while the action is happening. The big brute melee enemies do need more health. Maybe there is selectable difficulty. 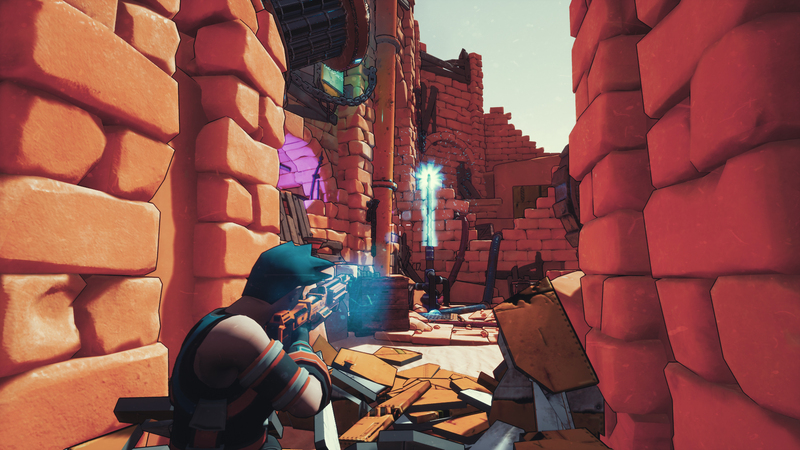 Crazy Justice is a new third person shooter game developed by ‘Black Riddles Studios‘. It’s coming out later this year on the Xbox One, Nintendo Switch, PS4 and PC. There is lots of information on this game and it was successfully funded by gamers, more than passing their required amount. Let’s take a look. Crazy justice, straight way from the character design and graphic style, should remind many players of another game. Maybe Fortnite… Now not much information is given concerning the story but we do know that players control a character who is out to stop the forces of evil, like every other story. You do this by activating hidden Tesla coils. Don’t ask us why. This all however cause some major issues in the world, lots of chaos. The enemy is the steampunk horde. Crazy Justice aims to deliver an entertaining action packed story. The main focus of the game is actually the multiplayer. As you play you will collect items and even win items too. Find new heroes, collect special weapons. There is character customisation and players can construct their own skill decks. In the final version of the game, players can battle it out with their character on five different maps in five different game modes. Games like this have one thing in common… continual expansion. Gamers should expect additional content and downloads coming to Crazy Justice to add more to the game. The multiplayer game modes are very different to each other. ‘Survive the Tesla’ is where there is a Tesla coil in the middle of the map. it’s generating a shield. As players battle and kill each other, that shield gets smaller and smaller until the max limit. If you are out of the shield, you die. Simple right? ‘Survive’ has 6 sectors. Over time each sector one by one will be destroyed. Players in that area must run for their lives. Lastly everyone will be in one sector to settle the score once and for all. ‘Protect the Tesla’ is two teams facing off against each other. Both teams have a Tesla to defend and it’s surrounded by a fortress, which can be upgraded if players have the right amount of materials. Build traps and other defence systems to help. Whoever destroys the enemy Tesla or has done the most damage wins. Crazy Justice did something right that many games have done wrong. The biggest offender of this is off course Halo 5 Guardians. Crazy Justice supports local splitscreen multiplayer. 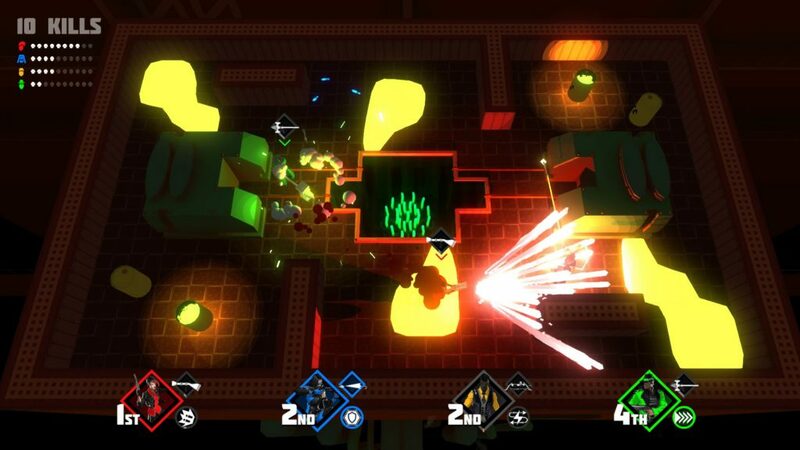 Players can even connect an external controller, allowing for some great gameplay with friends. It’s clear that the developers of Crazy Justice got some inspirations from others game, which is a good thing and learnt from other games too. For example all the maps in Crazy Justice have both high and low cover for characters to hide behind and fire from. just like in Gears of war. Crazy Justice is very versatile and this is why. Crazy Justice supports some crazy Cross-Network play! That’s right. 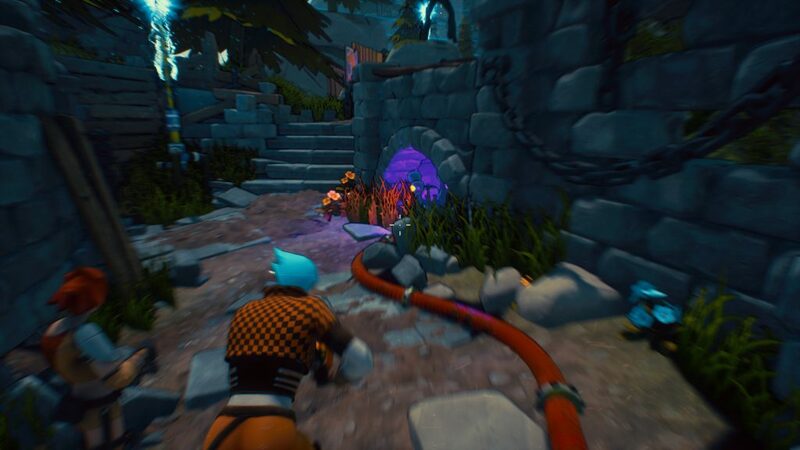 Players who own Crazy Justice can play with players from the Xbox One, Nintendo Switch and PC. For preference reasons, players will have the option to only play with same platform players as well. Having a choice is a great move. 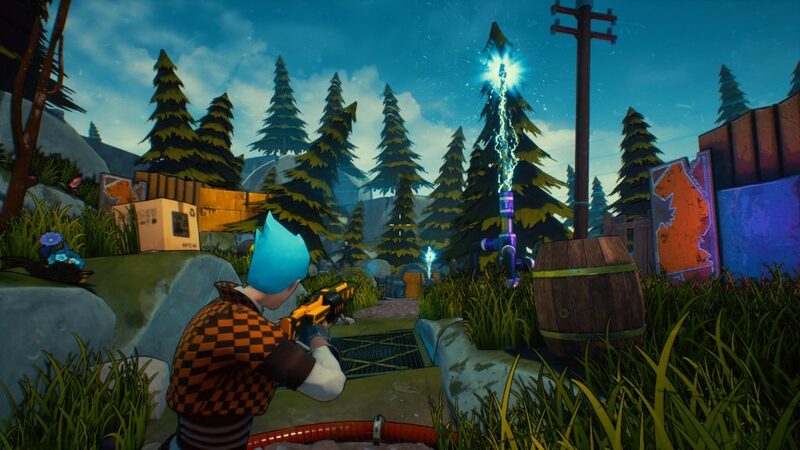 We checked out some gameplay and Crazy Justice definitely reminds us off Fortnite but more of a steam punk like style and more ground based combat. It’s not battle royal but has different game modes as we mentioned above. The building system is like Dungeon Defenders 2, simple but works. The cover system works well with the destructible environment. This means that multiplayer will be quite dynamic. 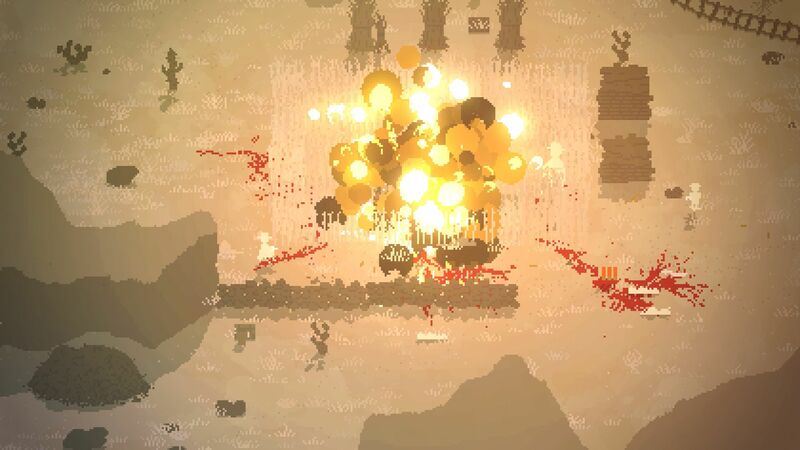 Super Weekend Mode is a new 2D Action shooter game developed by ‘Pixelteriyaki’. This game came out the 14th of February on valentines day. Released on Windows and Mac. This game is considered crazy. Let’s take a look. Super Weekend Mode is one of those games that clearly from the concept wants to wow people with how different it is. The developers said that Super Weekend Mode is a mashup of Tetris, Space Invaders and Gradius. Now that sounds crazy and must make you wonder sort of how that works. Now we at X35 Earthwalker must make it clear that this game requires gamers to have reflexes, don’t panic, focus and persistence. if you lack any of those four things, then you will not get anywhere. The story is incredibly basic. You are a princess and someone called ‘that guy’ took some of your stuff, so it’s only natural that you would want your stuff back. The gameplay is very basic as well meaning anyone can try Super Weekend Mode. Only three buttons. One to move one pad, another to move the other pad and one to shoot. That’s it. The story and controls are simple but the game its self is not simple in the slightest. 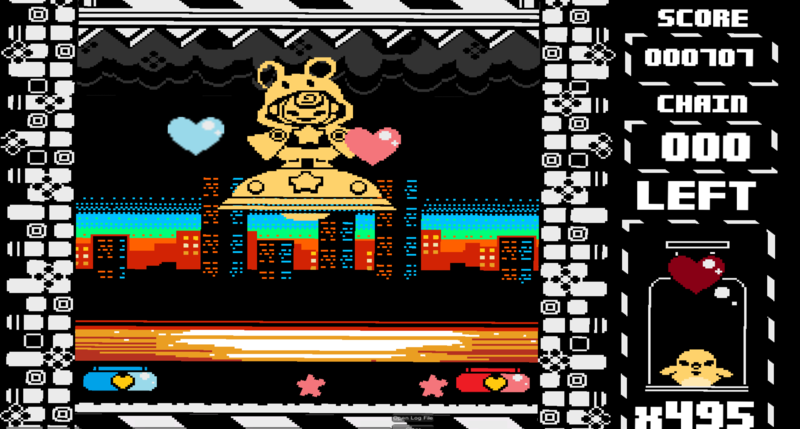 In order to pass the level you must either grab hearts that fall continuously or shoot the boss. Hearts aren’t the only things that falls. There are also skulls which you must not touch. If you touch one, you instantly lose a life. Dust bunnies also fall and you mustn’t let them touch the floor, so defeat them by bashing them with the side of your pad. If you miss, you lose a life. Now shot on the boss and heart collected gets you ten points. They also are worth a chain and the higher your chain, the more points you earn. Even this sounds easy, just push start and see for yourself. The rate and speed that these items drop is something gamers will not be ready for. Especially in the second level where everything is faster and more aggressive. Gamers will panic. Gamers will lose and have to try again. It’s one where you will lose and lose and continually lose and only then you will get better and get the hang of it. It’s very difficult but lots of fun. You will want to try and try again just to get past the first level and see the wrath of the second level. X35 Earthwalker Himself got to try the game and he can confirm that everything works and plays well. It’s definitely difficult but he didn’t get much time to play but made good progress in it and gave his feedback. The graphics are pixel style and look very cool. The music is fitting and works well with the game.